In the Diocese of Richmond, four years into Virginia’s historic Education Improvement Scholarships Tax Credits program (EISTC), donors provided over $11,000,000 in new scholarships for qualified students to attend Catholic K-12 schools, and received most of their money back in federal and Virginia tax savings. 1102 students received scholarships to attend one of the 29 accredited Catholic schools in the Diocese of Richmond, which extends from Bristol to the Eastern Shore of Virginia, for the 2017-18 school year. GIVE a Student the Gift of Catholic Education and GAIN a tax credit! This program has helped many needy families realize the dream of having their children attend Catholic school in our diocese. May the seeds planted today in their hearts and minds help to bring faith, hope and wisdom to our future world. The McMahon Parater Scholarship Foundation was established in 2008 to support and enhance the future of Catholic schools throughout the Diocese of Richmond primarily by providing tuition assistance, enhancing academic programs and resources, and increasing professional development opportunities for teachers. The Foundation is an IRS-designated 501(c)3 organization that has a professional staff and is governed by a Board of Directors. 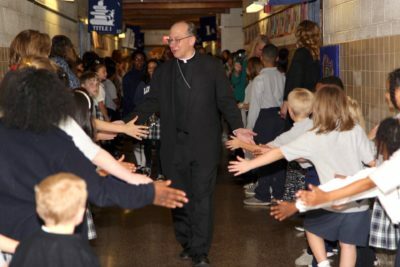 It actively promotes Catholic schools throughout the Diocese of Richmond, seeks ongoing philanthropic support; manages gifts, grants, endowments and donations; and distributes funds with the approval of the Bishop of Richmond. Throughout the Diocese of Richmond there are 30 Catholic schools with almost 8,700 students. Of the 30 schools, 25 offer elementary/middle school grades, 9 have secondary programs and 6 are independent schools, all within the Richmond, Tidewater and Southwest regions of Virginia. 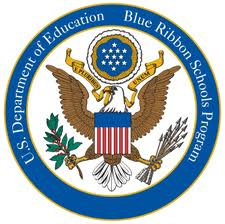 14 of our schools have been awarded the coveted distinction of being named a “National Blue Ribbon School” by the U.S. Department of Education. The National Blue Ribbon Schools Program recognizes public and private elementary, middle, and high schools based on their overall academic excellence or their progress in closing achievement gaps among student subgroups. The National Blue Ribbon School award affirms the hard work of students, educators, families, and communities in creating safe and welcoming schools where students master challenging content. *The Catholic Diocese of Richmond has partnered with Faith Direct to securely process your generous online donations. To make your donation now, please click on Donate Now on our menu.